The conversion of Churcham House, a former Victorian vicarage, latterly in use as serviced offices, obtained planning and was beautifully converted into 10 town centre homes located in the London Borough of Richmond. Bespoke modern kitchens, high quality Bette & Crosswater bathrooms and bedrooms with built-in contemporary wardrobes, well-designed layouts and high quality finishes. 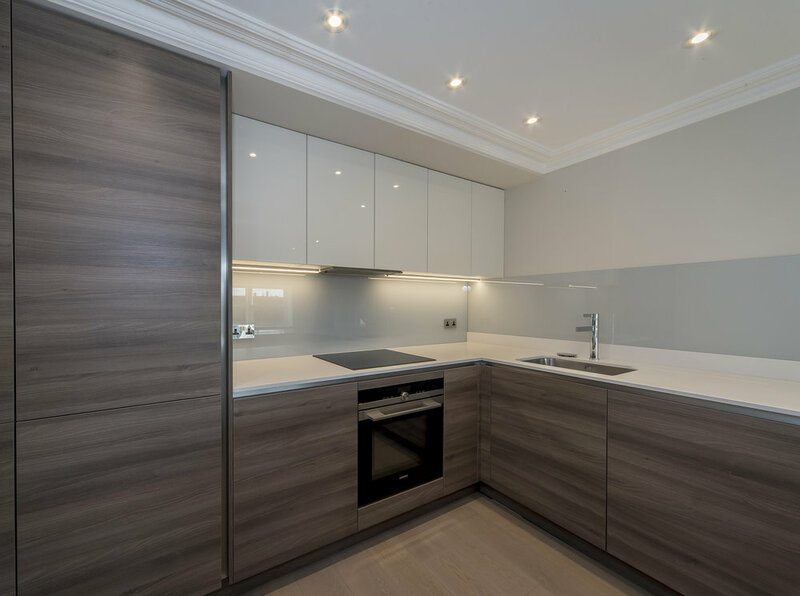 Contemporary timber floor finishes, complementing the clean lines and subtle colours of kitchen areas to provide functional, restful, and beautiful living spaces.